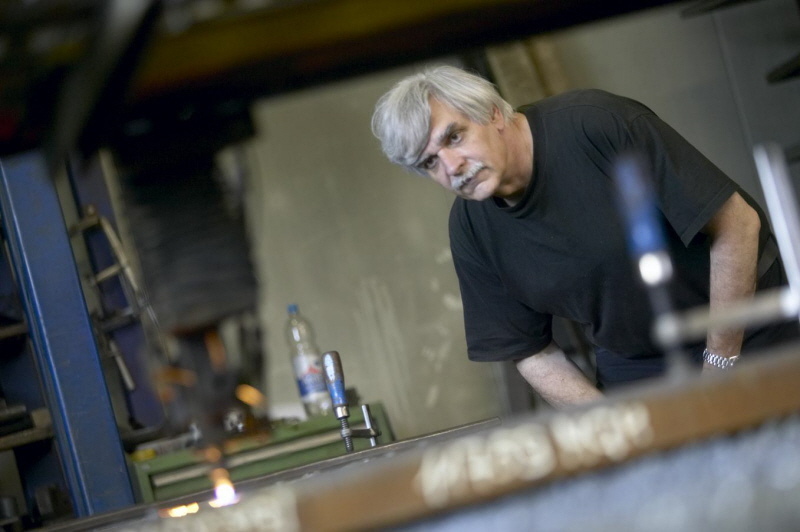 The artist conceives his sculptures according to ancient philosophical themes and statements. Wise sayings and positive energies are converted into geometrical sculpture forms. Condensing the essence of his craft, the artist tries to focus on the simplicity of form and process. Polarities are present in the works; light and shadow, the interior and exterior, the material and the spiritual, the concrete and the symbolic; these polarities find their balance in the whole. From this transformation of positive life energies result love, truth, harmony, peace, bliss, recognition of the essential.